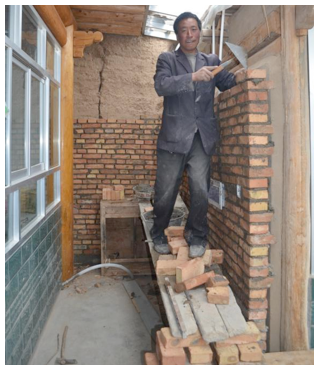 Lots of great progress to report from our three villages in Qinghai province, Luma, Dongxiu and Sasuma, all of which achieved full funding for their solar bathroom projects earlier this year. This meant we were able to complete the purchase of all the building materials and solar heaters needed for the installations to be completed. 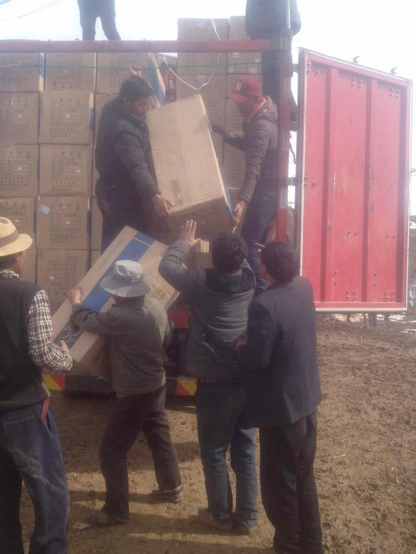 Our pictures show villagers from Luma unloading their newly delivered heaters, Mr Caidan and his family hard at work on their bathroom, and Mr Aojian completing the building work on his own bathroom, ready for final installation of the plumbing and solar heaters.